Brief: Replace existing deck, adding a skillion polycarb roof to create an outdoor room from the living area. 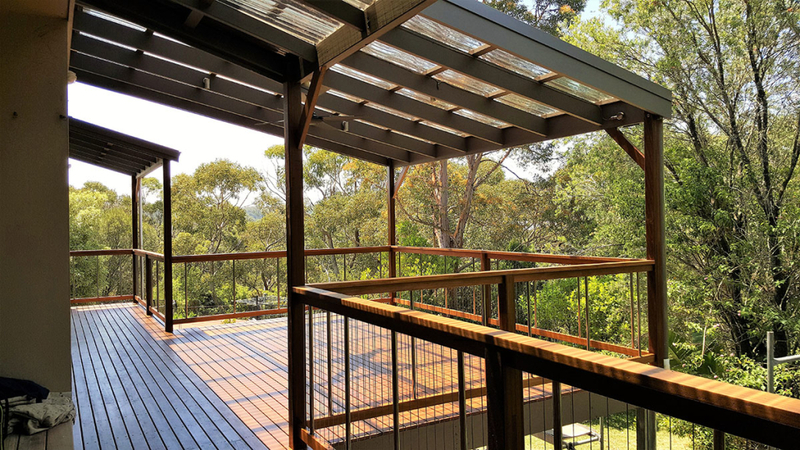 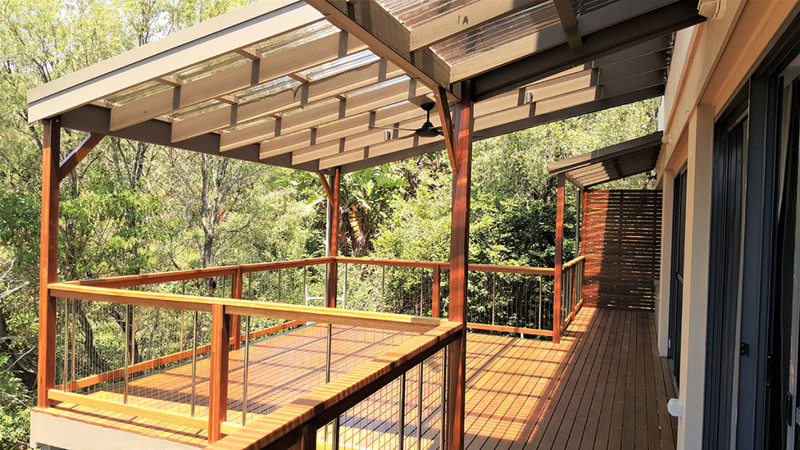 Materials: Spotted gum 86mm decking, sentrel vertical stainless steel wires, skillion polycarb roof. 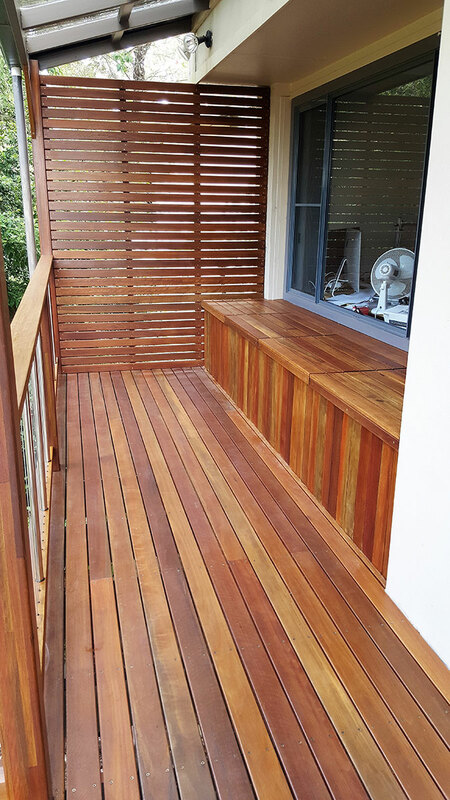 Extras: Bench seating with storage, privacy screen, downs lights and fan.